The best leaders in the world have come out of West Point® — the likes of President Dwight D. Eisenhower, General George S. Patton, and corporate leaders, such as Marsh Carter, former Chairman of the New York Stock Exchange, and Alex Gorsky, CEO of Johnson & Johnson. 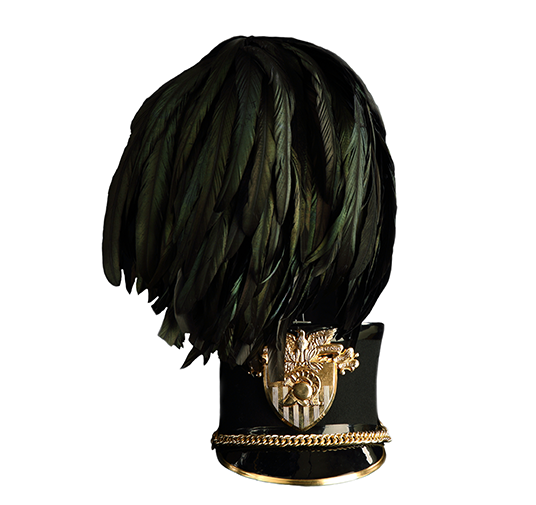 In many ways, the United States Military Academy (USMA) — West Point® — is synonymous with leadership. Notably, however, the names that most people associate with this venerable institution have included only men. The first few classes of women at West Point® faced numerous obstacles to graduate, yet through the cauldron of that experience they developed a formidable hardiness that might surprise you. 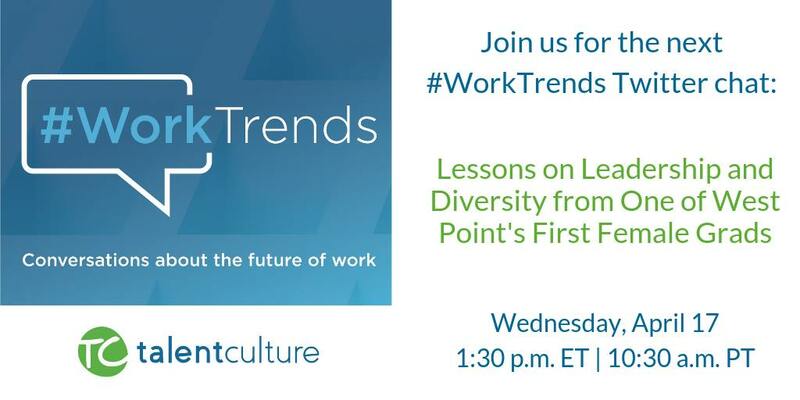 #WorkTrends is sponsoring a special Twitter Chat with Sara Potecha. Chat live about Lessons on Leadership and Diversity from one of West Point's first female graduates. Sara is an accomplished author, speaker and consultant who has led cultural transformation initiatives for Fortune 100 and 200 companies and coached hundreds of leaders to higher levels of performance. 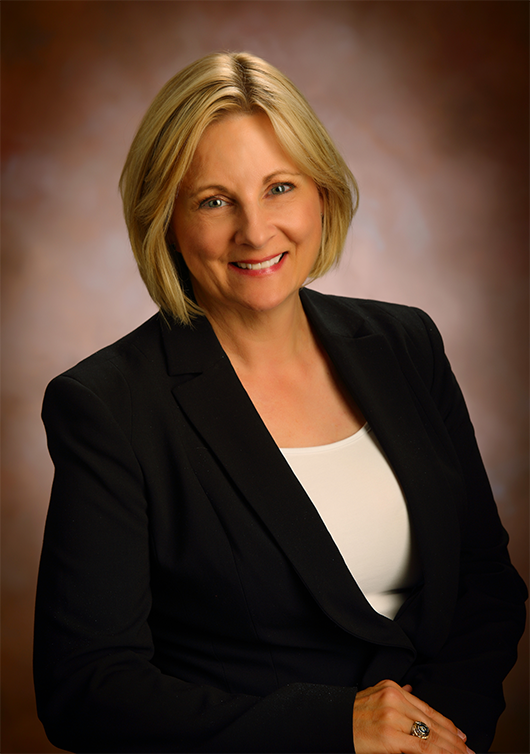 A masterful story teller, Sara is a sought-after speaker on such topics as women in leadership, veteran employment, emotional intelligence, change, resilience and leadership competency. In West Point Woman, Sara delves into fundamental leadership precepts taught to her at a tender age at the United States Military Academy and applied in all her varied roles. She captures her audiences through powerful, and often hilarious, personal stories while teaching her readers how to cultivate the character within. West Point Woman is her first non-fiction business book. West Point Woman is a leadership memoir for readers at all levels of organizational leadership, and applicable across industries, genders and professional expertise. What are the LEADERSHIP SKILLS that the first women at West Point learned, which helped them succeed in an often-hostile environment? What are the LEADERSHIP PRINCIPLES that make a West Point woman resilient and extraordinary, and how might you incorporate those tenets into your own leadership repertoire? West Point Woman, the new book by Sara Potecha, offers up a leadership arsenal. Experience Portions of the Book for Free! Enter your email and download the sample now. Thank you! Check your inbox for the book sample. In West Point Woman, Sara Potecha has eloquently shared the gift of her “first woman” experiences at the Academy with us to refocus our leadership attributes, both personally and professionally. While peeling back the layers, Sara exposes the balancing act of vulnerability and oftentimes humor required to be an effective leader. An effective leader that can work through his or her own obstacles and challenges while also leading others through their own. Sara is able to personify the principle of integrity by imploring readers to lead by action and not by words. In West Point Woman, Sara describes and gives credit to nine fundamentals which helped her through her journey to success. They are the tenets that result in strength in character, reinforce fair play and teamwork, while also accepting accountability as a professional and a human being. I encourage all of us to read this book and remind ourselves of what it takes to be a winner and a valued person. Let us endeavor as women and men to share these fundamentals and work as equal partners in making our world a better place for all. Potecha has found a way to give voice to my experiences and those of hundreds of other women and minorities who chose to attend an elite service academy. Her words are the threads that sew each of our experiences together, weaving them into a tapestry of shared sacrifice, commitment, and love of country. Her story is our story, and it reflects the best of what America is all about. We learn best through stories; we grow best through adversity. Sara applies these ideas in her leadership memoir, West Point Woman. Professionally and personally, Potecha has experienced unique challenges and has demonstrated extraordinary resilience and grit. As one of the first women graduates at West Point, as a management consultant in the corporate world, as a young widow with three small children, Potecha shares her journey with us. In her poignant, yet practical, thought provoking, yet easy to read voice, West Point Woman translates her story into leadership lessons for all. An inspiring memoir full of passion, adversity, triumph, and thought leadership. Captivating stories capture how Sara’s experiences were molded into a leadership philosophy and helped transform her into a highly sought after corporate management consultant. Think you’re having a bad day? Stuck in the mud? West Point Woman will help you see things through a different lens and broaden your leadership perspective along the way. One of the best books on leadership that I have encountered. Sara takes her unique experiences from the business world, motherhood and as one of the first women graduates from West Point and blends them all into stories that teach. As a mother and a woman in the corporate world, I found this book inspired me to continue to work on my own leadership style, learn from my challenges and continue to lead and develop those around me with both discipline and compassion. Have your own “West Point Woman” story to share? Join Sara’s group on Facebook!